The RPK (Ruchnoy Pulemyot Kalashnikova, Russian: Ручной пулемёт Калашникова or "Kalashnikov hand-held machine gun") is a 7.62x39mm light machine gun of Soviet design, developed by Mikhail Kalashnikov in the late 1950s, parallel with the AKM assault rifle. 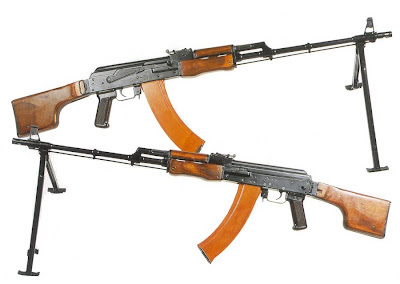 It was created as part of a program designed to standardize the small arms inventory of the Red Army, where it replaced the 7.62x39mm RPD light machine gun. 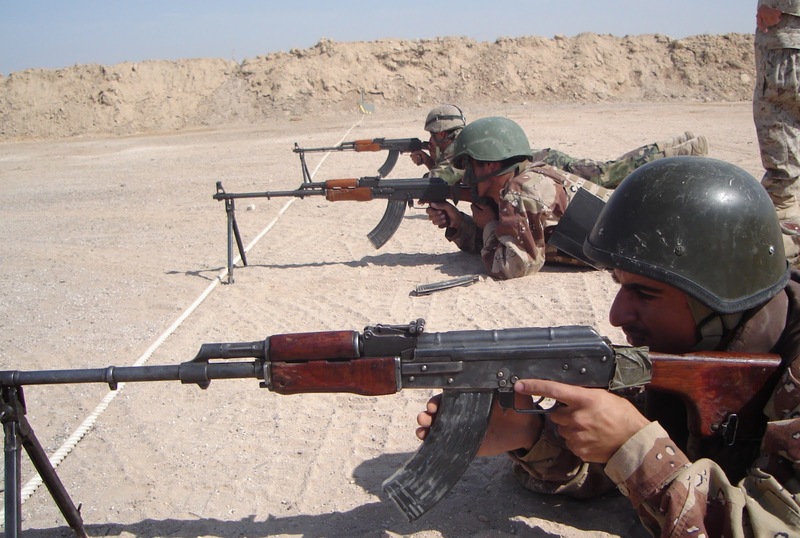 The RPK continues to be used by the armed forces of countries of the former Soviet Union and certain African and Asian nations. 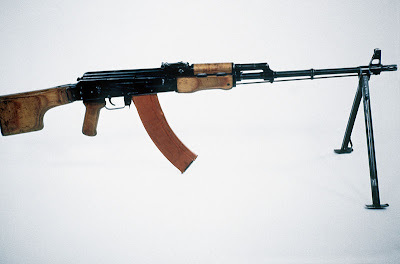 The RPK was also manufactured in Bulgaria, Poland, and Romania. The RPK functions identically to the AK-47. It also uses the same 7.62x39mm ammunition. 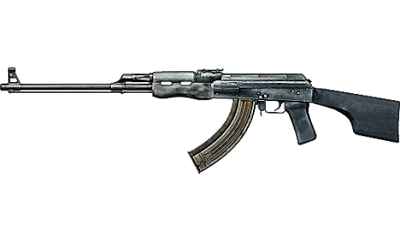 It has a similar design layout to the AKM and AK-47 series of rifles, with modifications to increase the RPK's effective range and accuracy, enhance its sustained fire capability, and strengthen the receiver. Most notably, the RPK has a heavier and longer barrel than an AKM. 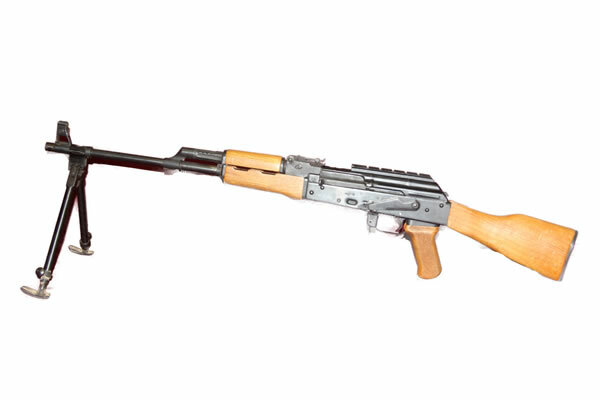 This allows the RPK to fire for extended periods of time without major loss in accuracy due to the barrel heating up. The chrome-lined barrel is permanently fixed to the receiver, and cannot be replaced in the field. 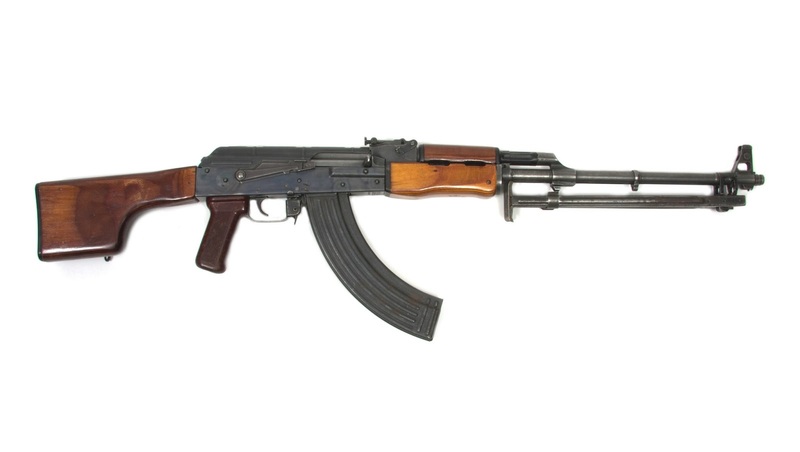 It is fitted with a new front sight base, gas block (lacks the bayonet lug) and an under-barrel cleaning rod guide. The barrel also features a folding bipod, mounted near the muzzle, and a front sight base with a lug that limits the bipod's rotation around the axis of barrel. The barrel's muzzle is threaded, enabling the use of muzzle devices such as flash hiders, compensators, and blank-firing adapters. 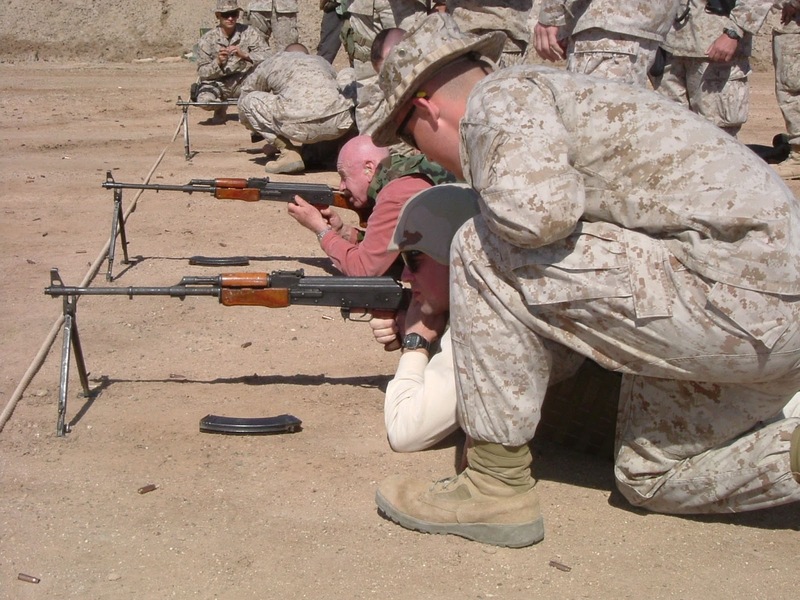 When a muzzle device is not being used, the threads on the muzzle can be covered by a thread protector. 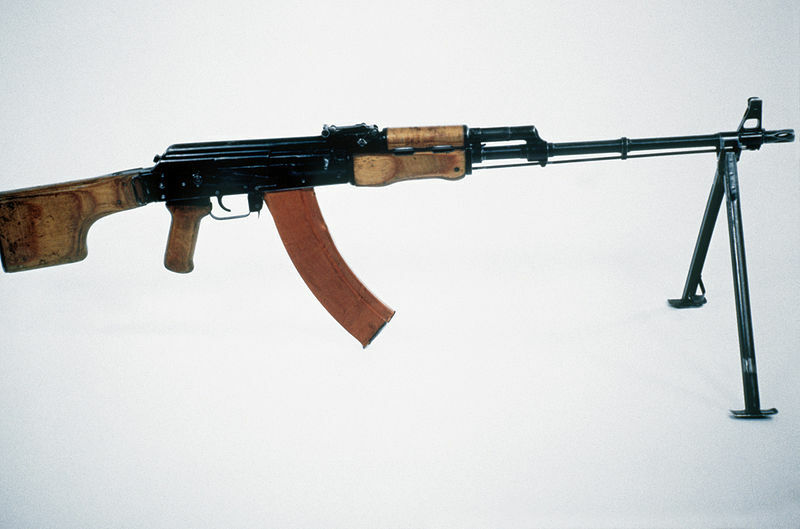 The barrel is pinned to the receiver in a modified trunnion, reinforced by ribbing, and is slightly wider than the trunnion used on standard AKM type rifles. Symmetrical bulges on both sides of the front trunnion ensure proper fit inside the receiver. 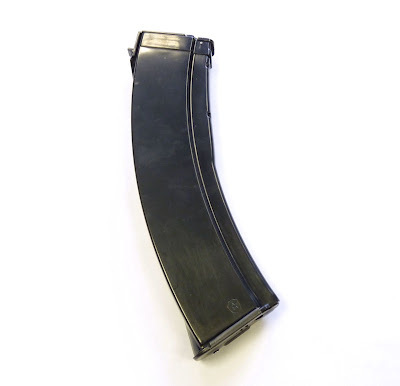 The RPK's receiver cover is stamped from a smooth 1.5mm sheet of steel (compared to the 1 mm sheet metal receiver cover used on standard AKM rifles). 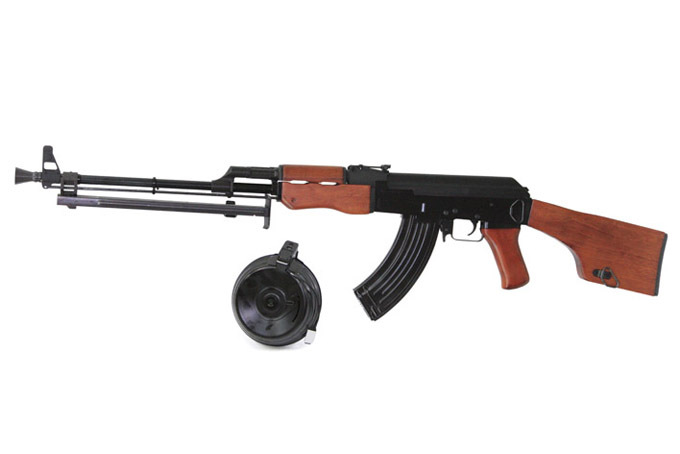 Interchangeability of parts between the RPK and AKM is moderate. 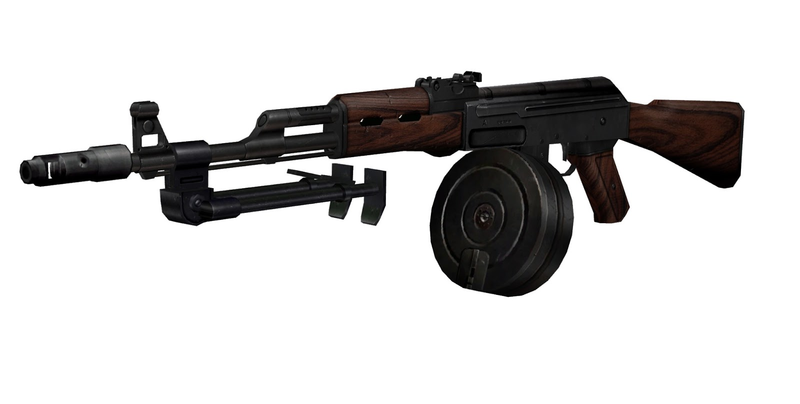 The RPK uses a modified AKM recoil spring assembly. 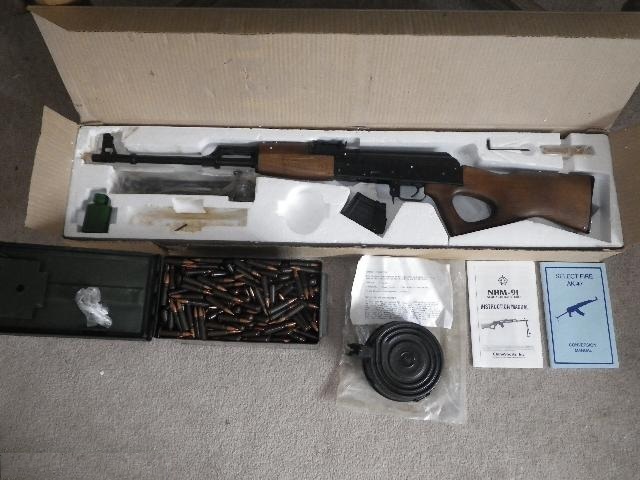 It consists of a rear spring guide rod from the AK, and a new forward flat guide rod and coil spring. The RPK features a thick laminated wood foregrip, and a fixed laminated wood "club-foot" buttstock, similar to the stock used on the RPD, which is designed to allow the user to fire from the prone position more comfortably. The RPK uses a standard AKM pistol grip. 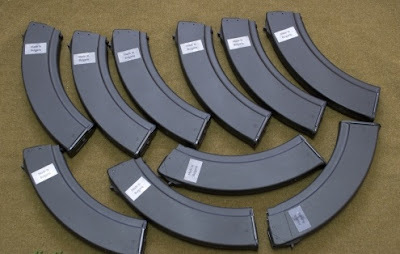 The weapon can use standard AKM detachable box magazines, but is most commonly used with a 40 round capacity magazine, or a 75 round drum magazine.